You must be a member of the Melbourne Music Lovers Group to attend this activity. Would you like to join this group? 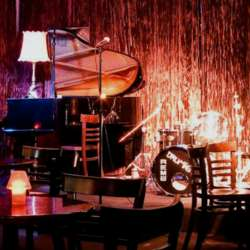 Let's come back to this venue to experience a well renowned Melbourne band Checkerboard Lounge play soul and blues music. Tickets are $30 and need to be booked from the website. Please go there and book tickets. The venue is about 15 minutes from the city and just of Sydney road, close to both tram and trains. Thanks everyone, and don't forget to book your tickets after you RSVP.